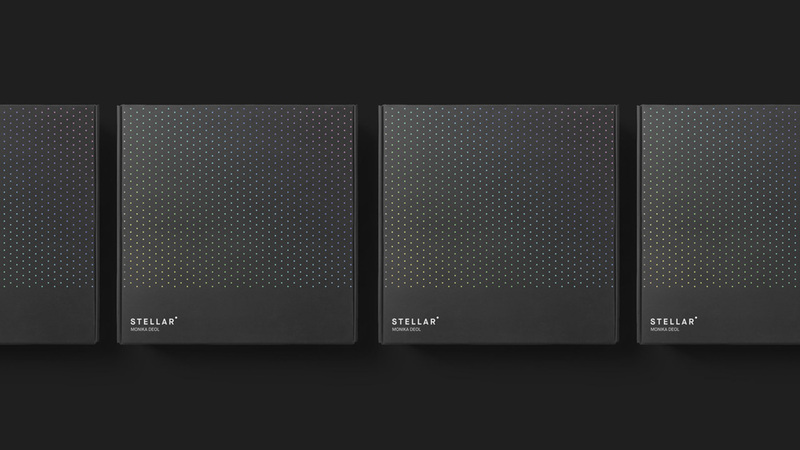 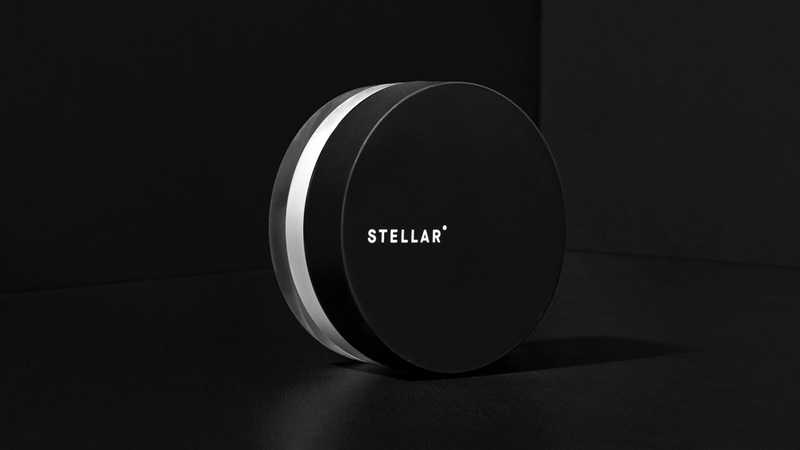 Launched earlier this year, Stellar is a new line of makeup available exclusively at Sephora created by Punjab, India-born Monika Deol, a fixture of Canadian television, who spent many years as a VJ for MuchMusic and found it a struggle to get the right makeup for her skin tone, which is a void Stellar aims to fill. 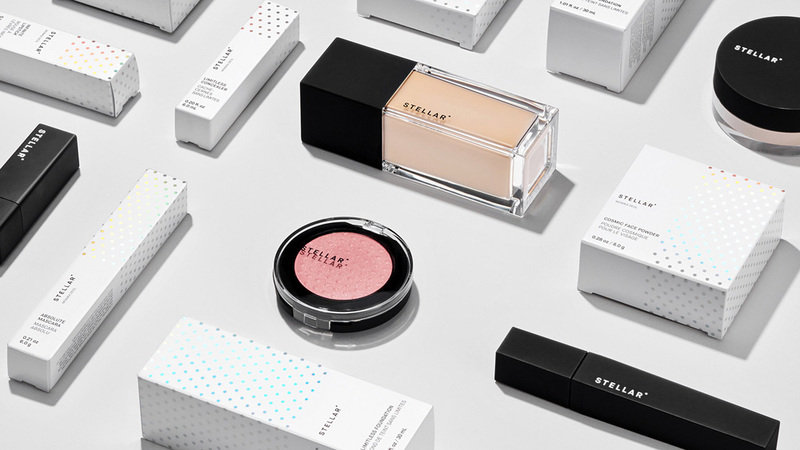 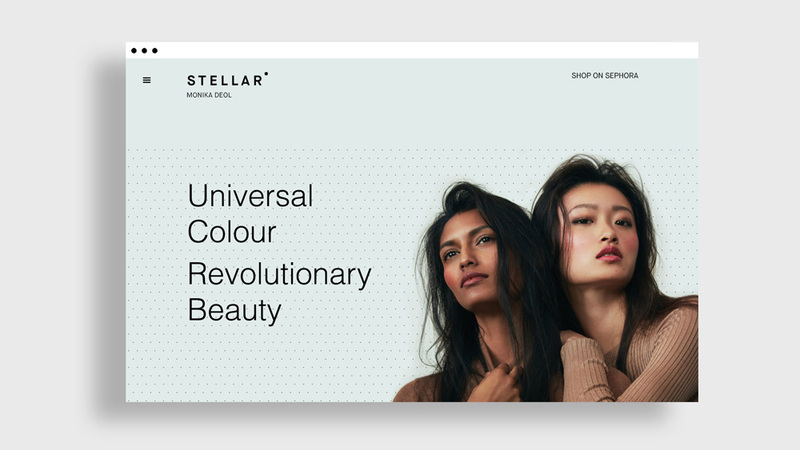 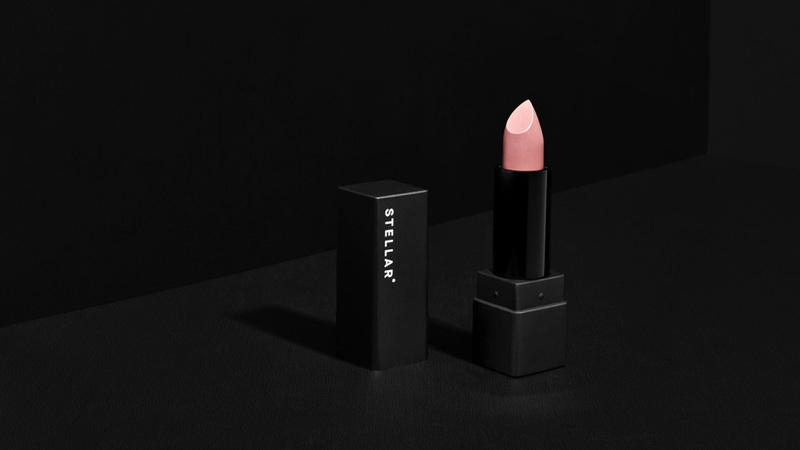 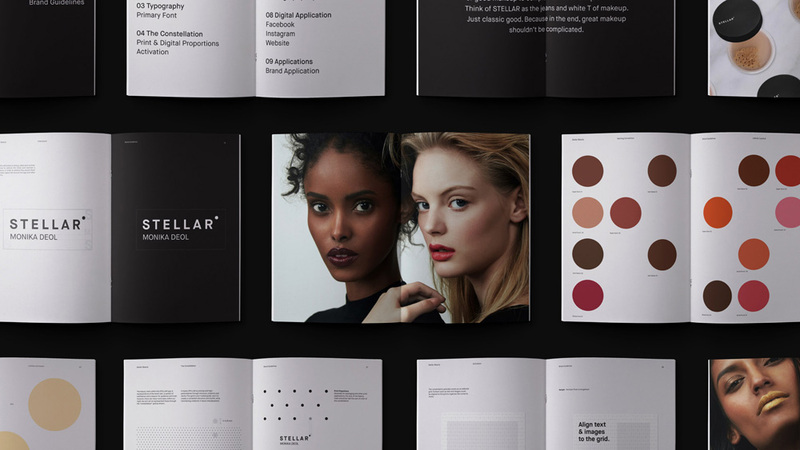 Created specifically for medium skin tones, Stellar offers a range of 22 foundations and six concealers, as well as blushes, lipsticks, powders, and a mascara. 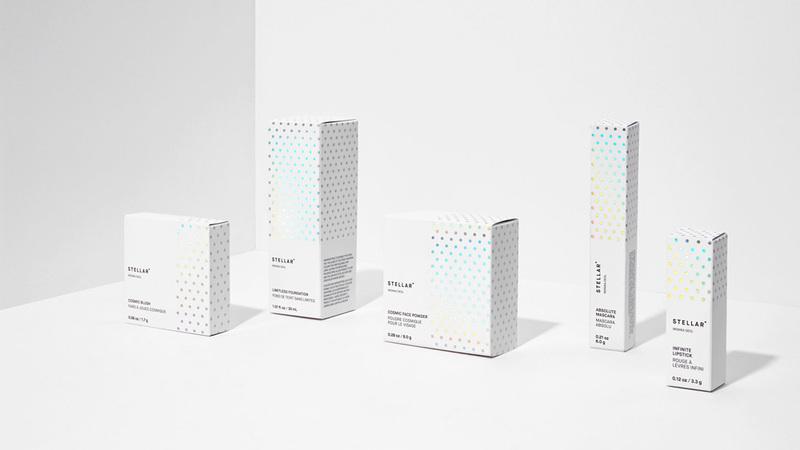 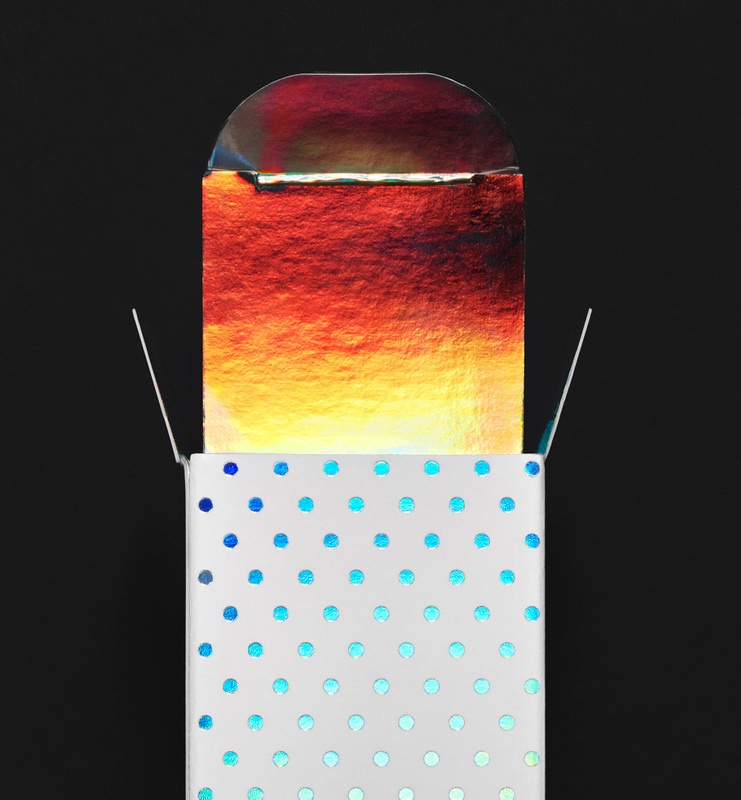 The logo and packaging were designed by Toronto, ON-based Bruce Mau Design. 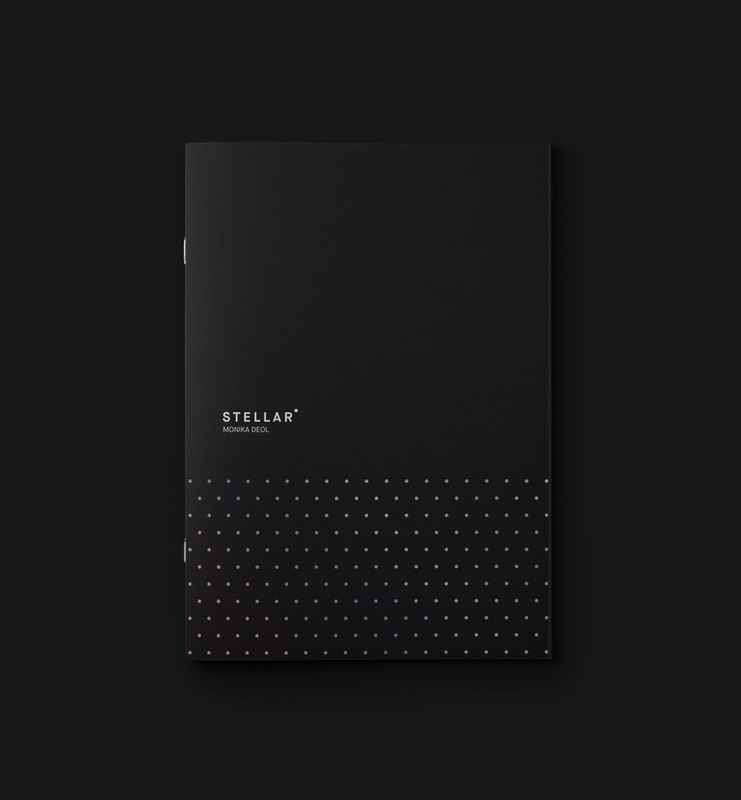 With a slightly presumptuous name like “Stellar”, it would have been easy for this to have taken a turn for the worse by being too lofty or obnoxious but the minimalist execution is perfectly calibrated with a sturdy sans serif, just the right amount of airy letter-spacing, and a dot that’s neither too big nor too small to serve as a graphic trigger for something up in the sky. 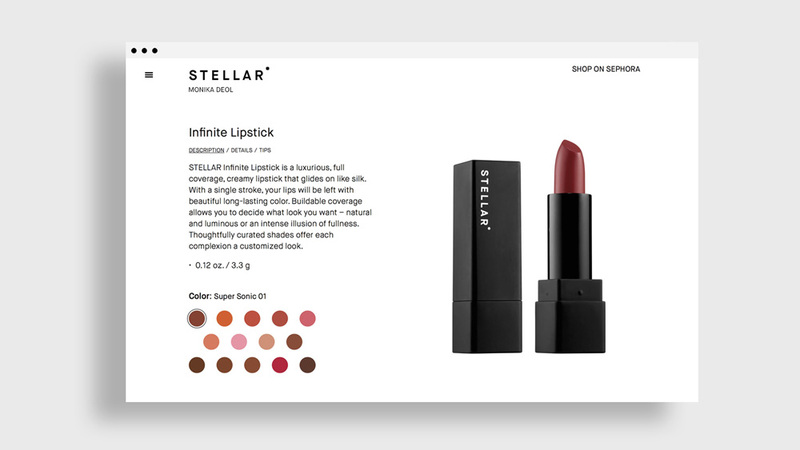 I also love the second read as a beauty mark, which I wouldn’t have thought of without reading the description and it might not even be arrow-in-FedEx-subtle but it makes for a nice secret. 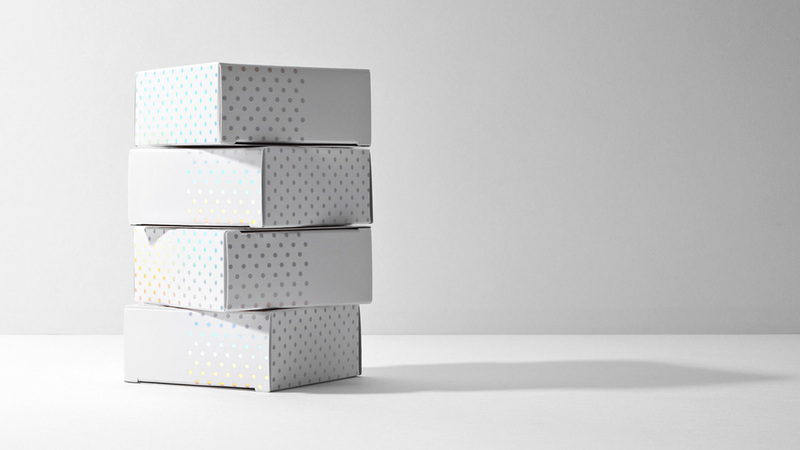 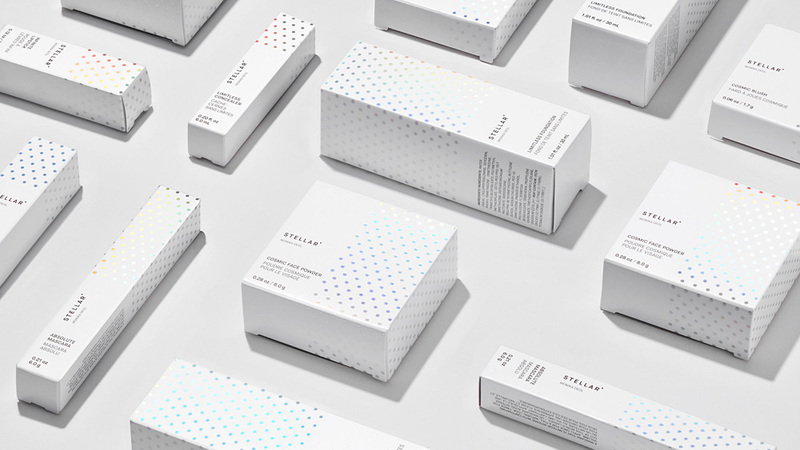 Aside from packaging, of which there is plenty to see, there is not a lot on the identity but between the website and guidelines it’s easy to gather that it’s all about simplicity and nice product photography. 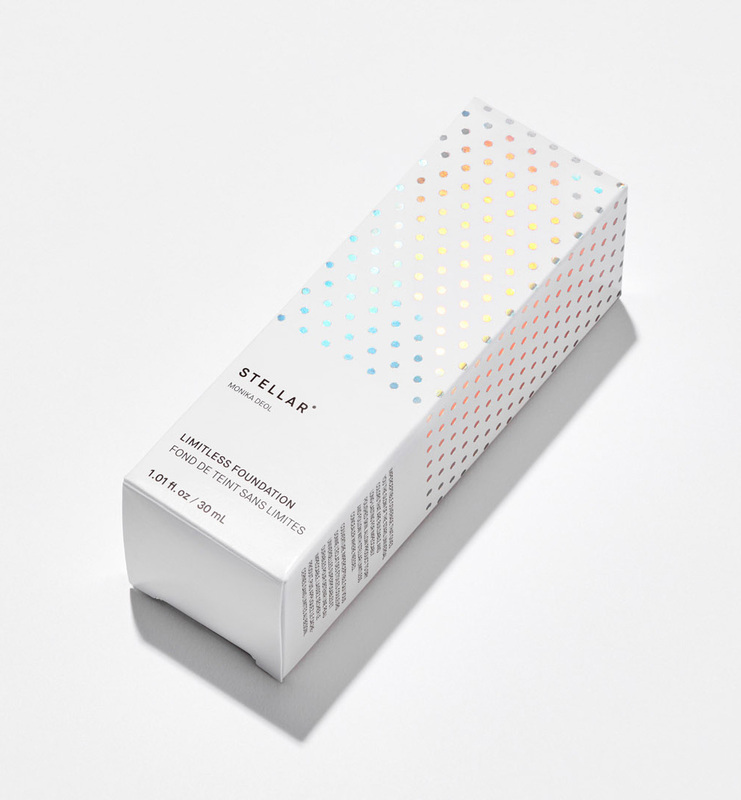 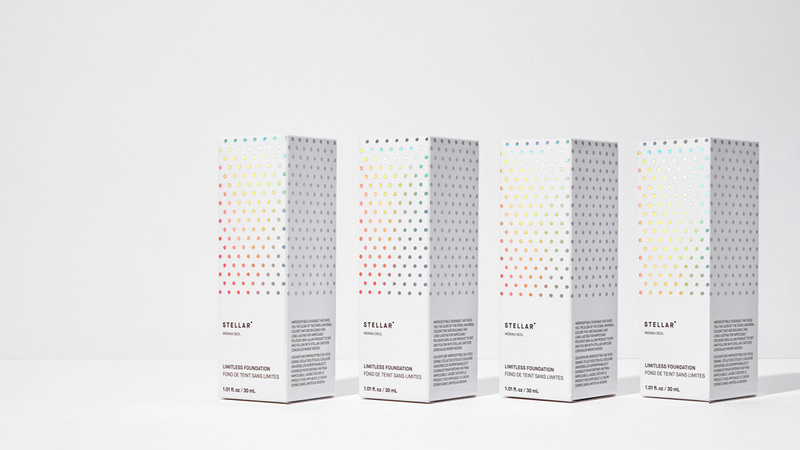 In a way, there is nothing revolutionary about the packaging… it looks exactly like makeup packaging looks, especially when you think of Sephora-style cosmetics where simplicity and minimalist packaging that allows the product to be the center of attention are the norm but, still, there is a striking balance of starkness and exuberance (through the rainbow foil dots) in Stellar that makes it stand out. 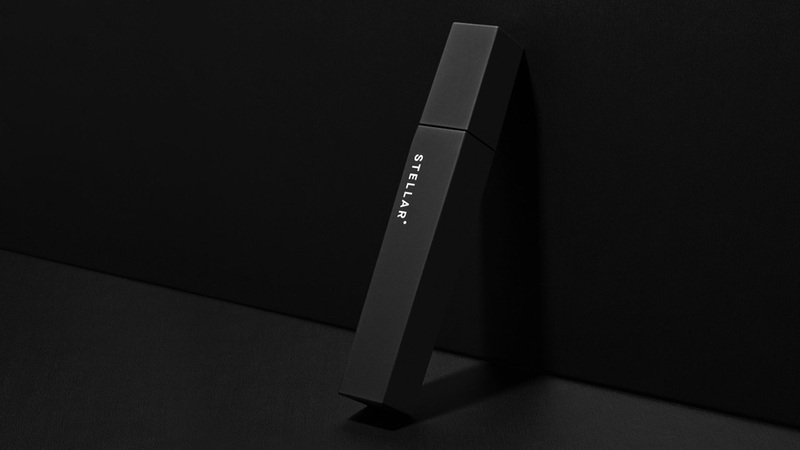 I’m not a field expert on makeup packaging and product but this has a beautiful, restrained edge to it that is hard to achieve.